What is Synthetic Fiber in Textile? In textile industry, synthetic fibers are man–made from chemicals. These are generally based on polymers and are stronger than natural and regenerated fibers. 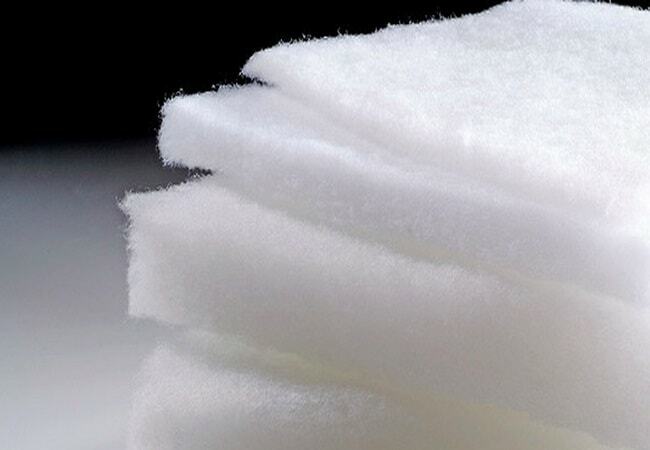 Compared to the rayon, synthetic fiber is 2-3 times stronger. The moisture absorption is less. (This is drawback while using for underwear clothing). When damped, the strength of rayon becomes about 30-60% weaker in comparison to its strength in dry condition. In synthetic fibers, in most of the things, it is 20-30% less, in nylon it is 7-15% less and in tetron, there is almost no change. It has excellent chemical resistance and anti-corrosion compared to artificial silk and natural fibers. This type of fiber has good durability. It is easy to wash and quick in drying. It is suitable as the substitute for wool. There is no fear of damage from insects. Since, it has thermo-plasticity; it is easy to give curliness while making short fibers. The pleats given to trousers or skirts by iron are long lasting. Moreover, it does not get creased easily. Synthetic fiber has weak heat resistance. Especially, the fibers of vinyl series get softened even at temperature less than 100°C. Therefore, it is necessary to be especially careful while using nylon as the clothing variety of synthetic fibers. It is comparatively difficult to dye and the appropriate dye needs to be selected accordingly to the synthesized high molecule system, which constitutes the fiber. There is severe occurrence of static electricity and pilling occurs easily in this type of fiber. When nylon came to the market for the first time, it was advertised to be finer than the yarn of spider and stronger than steel wire. Its strength had no match with the former rayon and it was better than natural silk too. Moreover, it was very much light in weight compared to other fibers that time. Due to all these merits, the raw silk got completely expelled from being used for long ladies wear socks. For fabric also, its merits were used especially for thin fabrics like organdy etc. besides, it is used for ladies dress material and shirt material etc. also. As the knit work variety, apart from socks, it is mainly used for high quality goods like tricot woven hand gloves, underwear clothing etc. making use of its tenacity; it is used for fishing nets, conveyor belts, tyre cords and parachutes etc. Especially, since the tyre cords of jet aero planes require withstanding the friction heat and strong pressure at the time of landing, nylon 66 is used. Synthetic fiber is strong and has good transparency under water. When it is lifted out of water, it has good dripping. Therefore, it is most suitable for fishing nets and fishing net weaving. Since, it has good chemical resistance and oil resistance, it is widely used in industries making filter clothe and packing etc.